ysse decision my way, too, so not a bad week for picks at all. And for those who made money, can I expect my cheque in the mail as a thank you? On to this week. Three notable fights on tap: Haye vs. Harrison, Rigondeaux vs. Cordoba, and of course, Pacquiao vs. Margarito. We’ll start by going overseas for this all-British title fight. Haye has been known to have a questionable chin, and in his most-recent fight Audley Harrison won in the last round via an overhand right hand that laid out Michael Sprott. But let’s face it: This is nothing but an easy defense for Haye that will result in a good payday. Harrison’s only prayer is to land a flush shot. That’s about all he can do. Harrison isn’t the type of fighter who uses his jab enough to rack up points on the scorecards, and can’t take a great shot himself. Haye should win by the sixth round. If not, that’s just a testament to how poor the heavyweight division is. 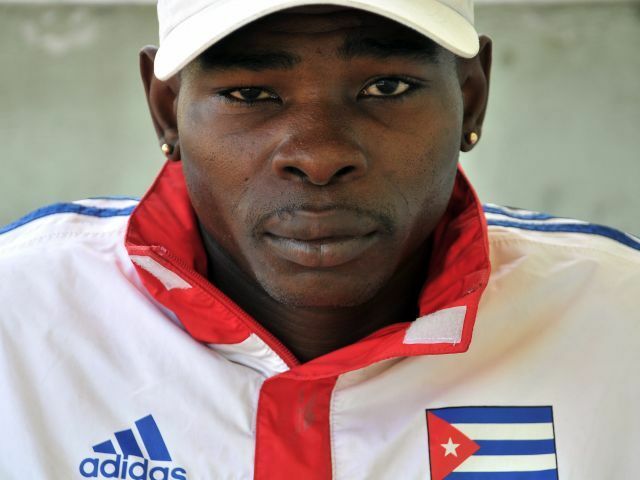 For those who haven’t yet seen much of Guillermo Rigondeaux, YouTube him now! Considered to be the best amateur of all time, the Cuban has been pretty impressive in his young career, going 6-0 (5 KOs). He can dominate opponents from pillar to post. In Cordoba, he’s fighting the last guy to beat Celestino Caballero. Cordoba is young at 27, while Rigondeaux is surprisingly the older fighter at 30. A stern test, for sure, for the Cuban. Should he win, Rigondeaux can chase the bigger names and bigger dollars at 126, where Lopez, Gamboa, Caballero and Chris John are campaigning. Expect him to break Cordoba down and stop him late, somewhere between the ninth and 11th. As horrible as this fight is on so many levels (Margarito’s hand wrap controversy, the catch weight of 151 pounds for a 154 pound title), it’s still intriguing and should be entertaining. And after the struggling year boxing has had, some entertainment will satisfy the fans for a night. Despite the apparent and well publicized distractions that Pacquiao has endured during this training camp, I simply don’t think he would be entering this fight at anything less than 100 percent. Freddie Roach would not go public stating that his camp is falling apart if it really was. Also, they’re now saying Manny is good to go for the fight and is looking impressive during training sessions. While the worry remains that the job of a congressman will steal Manny away from boxing, he is a professional if there ever was one. He won’t go into a major fight without being at his best, especially with Alex Ariza and Freddie Roach in his camp. Margarito seems to have trained pretty well, but I’ve been watching the 24/7 HBO episodes and to me it looks like the final few pounds will be a battle for Margarito to lose. His weight on the third episode of the series was 154 pounds and Margarito looked pretty trim -- a little too trim. If he peaked early, it’ll show up during the fight. It’s hard to go against Manny, and I won’t. He’s too quick, skilled and most importantly, he’s a very smart fighter. I don’t think he’ll get the knockout because, contrary to what his camp is saying, Manny probably won’t trade with the bigger Margarito. He’ll use his skills, box, and move in and out using angles to hit Antonio. I’ll take Manny via comfortable decision. Another decent night for fight fans. For the Pacquiao-Margarito ticket holders, it’s good to know there’ll be at least a few fans walking out being satisfied with the result of the event. Obviously, fans walking out of Cowboy Stadium content nowadays is a rarity.